Playmobil is continuing their playsets celebrating Dreamworks’ newwest How to Train Your Dragon film: The Hidden World. 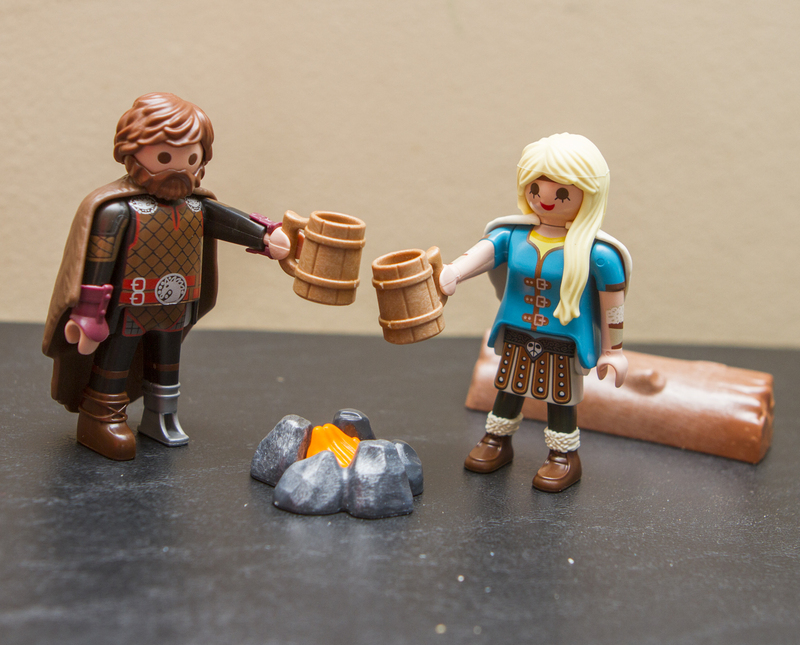 This set features bearded Hiccup, Ingrid, and a Night Light, baby fury. I like the small accessories, such as the forked branches that can hold onto a fish for them to cook over the fire, as well as their small tankards. The “star” of this playset however is the Night Light. He’s adorable, fun to play with, and really brings the cute moments from the movie into your play space. I really like how the designers at Playmobil have embraced the Dreamworks’ Dragons look, but it’s still totally Playmobil. Traditionally, Playmobil animals are smooth, but feature great sculpts. They’ve incorporated the scaly texture without compromising the famous Playmobil look. His wings swivel, his jaws open, and his mouth moves. With a little bit of work I was able to get him to clench the fishbone in his mouth. 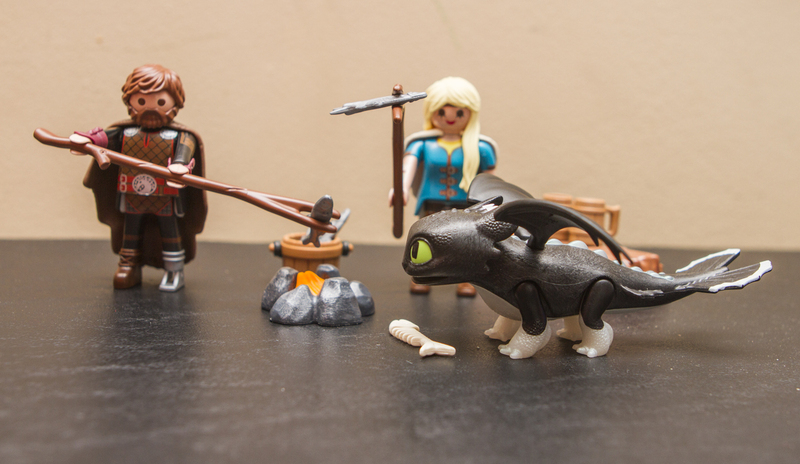 Playmobil gives you a fun playset that gives you a bit more of the How to Train Your Dragon universe in your playroom. 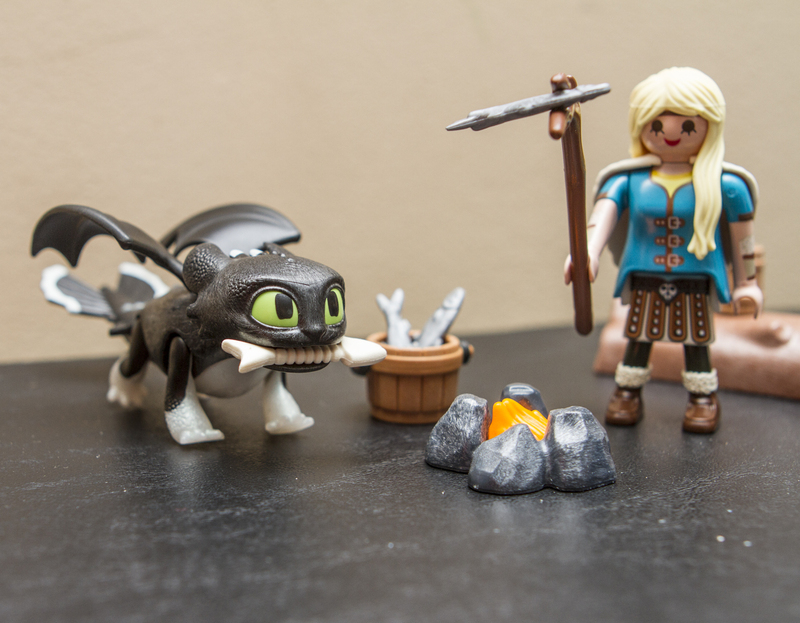 Be sure to look for other Playmobil How to Train Your Dragon sets, and if you missed the movie in theaters, stay tuned as it will be appearing on home video and streaming in a few months.